As pointed out by MassLive.com's Christopher Smith, Pablo Sandoval's 20-day rehab assignment runs out this coming Sunday, July 16th. While the Red Sox could tinker with the rules, realistically, they have to "fish or cut bait" with The Panda by then. All the signals suggest it's bait-cutting time. Both Deven Marrero and Tzu-Wei Lin have been adequate placeholders while Boston tries to solidify the 3B position on a 'semi-permanent' basis—like a deadline trade for Martin Prado or Mike Moustakas. 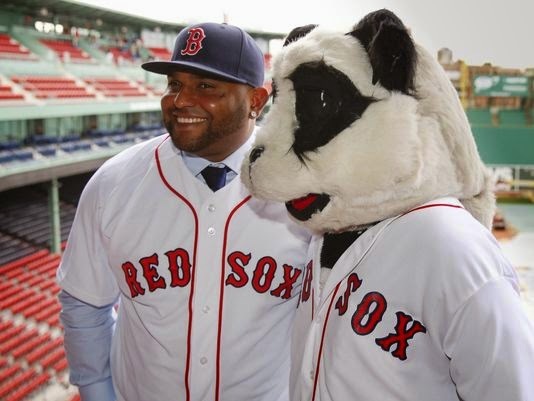 If the Red Sox do cut Sandoval loose, they will still have to pay him a panda's ransom through 2019.